Professor of Occupational and Physical Therapy Dr. Natalie Michaels recently organized a musical fundraiser at the Hotel Preston to support the Down Syndrome Association of Middle Tennessee. Michaels hosts the event twice a year, and this year, she performed her own music and songs from Whitney Houston to Portugal the Man. The event also featured Thomas Ebner from the Physical Therapy Department and Emily Hines. 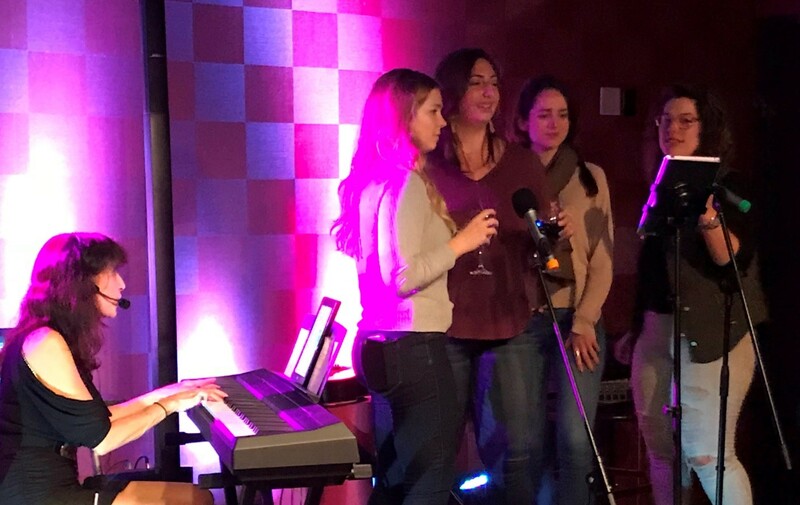 Belmont occupational therapy students Roya Rezadoost, Danielle Stelbaskey, Molly Schneider-Adams and Kayla Kennedy were also there to sing a few songs.